Discussion in 'Buy / Sell / Trade' started by 01tacoprerunner, Oct 6, 2010. Poll closed Oct 26, 2010. I know someone who has a sign/ t-shirt shop, I might try to get one of these designed with one of these and do a buy on them. Anyone interested? Probably work on the Picture some and make it look better. I have tcbob's approval for now. sure, you can use my truck. thanks for asking...not. 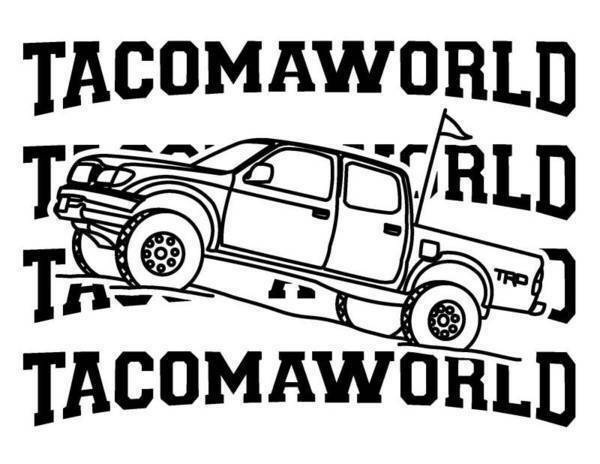 That is you truck man! why does the passenger side suspension look so.....intact? yeah, it's not supposed to look like that, the LCA is supposed to be resting on the ground right? 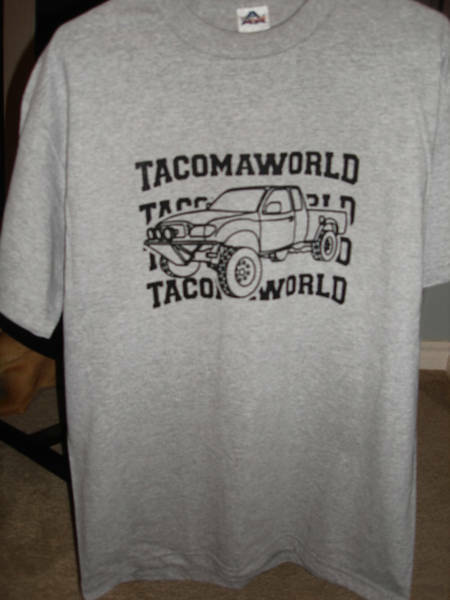 Wow, didnt know you would get so offended about your truck being on a T-shirt. And this is someone elses design Jblaze805, and its piliminary.